Now that spring weather has finally arrived, I find myself itching to get some spring cleaning done. I love for my house to smell fresh! I haven't been able to simply throw open the windows, though, because the pollen has been so thick. So I've come up with a simple little trick for making things smell lovely. First cut a lemon into thick slices. Then run some water in a Pyrex measuring cup, squeeze some of the juice from the lemon slices into the water, and then add the lemon slices themselves to the water. Now microwave the lemon water on high until the water bubbles. Place a bamboo chopstick in the water; breaking the surface of the liquid allows bubbles to form more easily so the water can boil without boiling over. 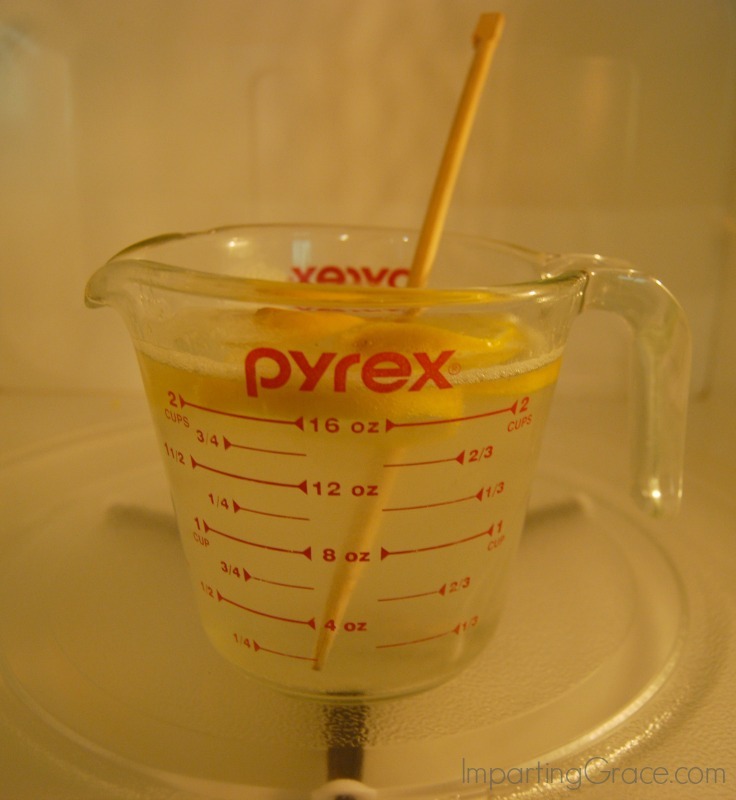 The steam from the lemon water will make your microwave smell fresh and clean. 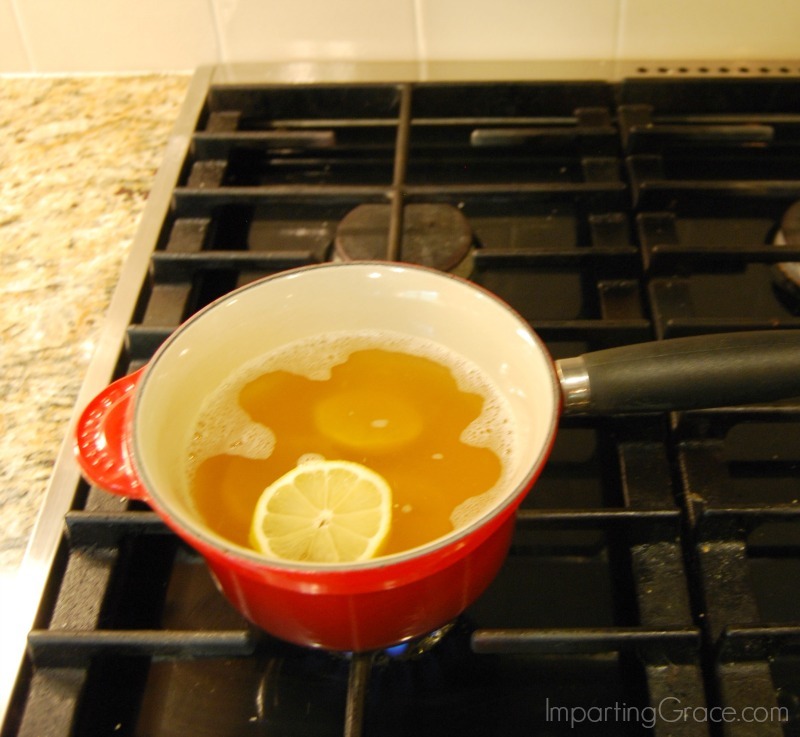 Next, pour the lemon water into a small saucepan on your stovetop. Add a couple of teaspoons of vanilla extract to the mixture. Bring the mixture just to a boil, then reduce heat and simmer. Take care that your pot doesn't boil dry! 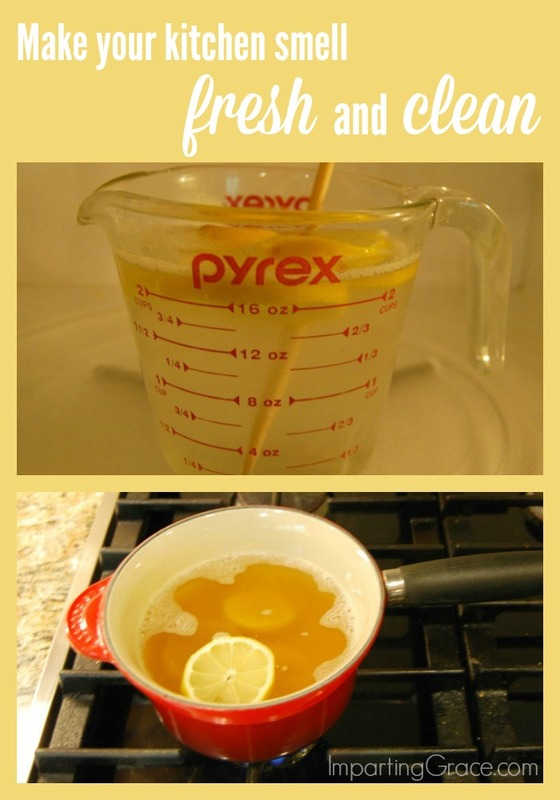 The combination of lemon and vanilla makes the kitchen smell fresh and clean and homey--kind of like the smell of a lemon meringue pie fresh from the oven. A lovely smell for springtime! What's your favorite way to make your home smell fresh? Joining my friend Roxy at Living from Glory to Glory for her Encouraging Homemakers party! 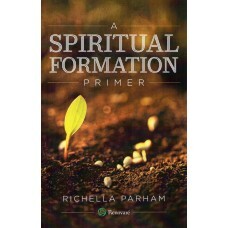 Awesome tip, Richella! I will have to try this. I love the smell of lemon... anything. My hubby always has lemon slices left in his tea glass and before I throw them out, I fish them out of the glass and rub the kichen sink and stopper area down and rinse it with hot water. I love the fresh smell afterwards! Thanks for sharing! I'll bet this smells wonderful! Lemon and vanill are two of my favorite scents. Dear Richella, I will Pin this as soon as I leave you a big THANK YOU! You are a very sweet and generous lady! I am glad to call you my friend! May your Blog prosper and grow and bless others!